The awards are a platform where successful black businesses and formidable champions of transformation in South Africa are recognised and honoured for their contributions. 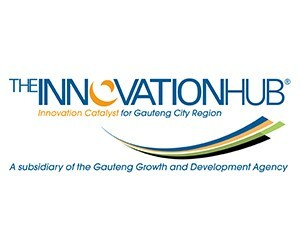 As The Innovation Hub, our role is to foster innovation and entrepreneurship, it is important that we uplift and honour entrepreneurs that have new innovations in the Smart Industries (ICT and advanced Manufacturing), Green Economy ( water, waste and energy and Bio economy ( Health and Agro-Processing). The awards consist of 13 categories and are open to individuals, black-owned and empowered companies throughout the country. These remarkable individuals will be celebrated in lavish style during an evening featuring top South African entertainment, influential speakers of the highest calibre and the awarding of the finalists and winners in the various categories. Big Time Strategic Group - Platinum Award; Comair - Outstanding Women in Business; Emperors Palace - Community Builder of the Year; Hennessy - Businessman of the Year; Kaya FM - Transformation Champion of the Year; Ledwaba Mazwai Attorneys - Public Sector Visionary Award; LTE Holdings- Best Established Black Business; The Innovation Hub - New and Innovative Business; Best Employer of the Year; Iqhawe Mentorship; New Entrepreneur; Young Business Achiever; and CSI Ubuntu.